The recently launched Realme 2 is soon to be on sale for the first time on September 4, which is tomorrow on Flipkart, India’s largest online shopping website. 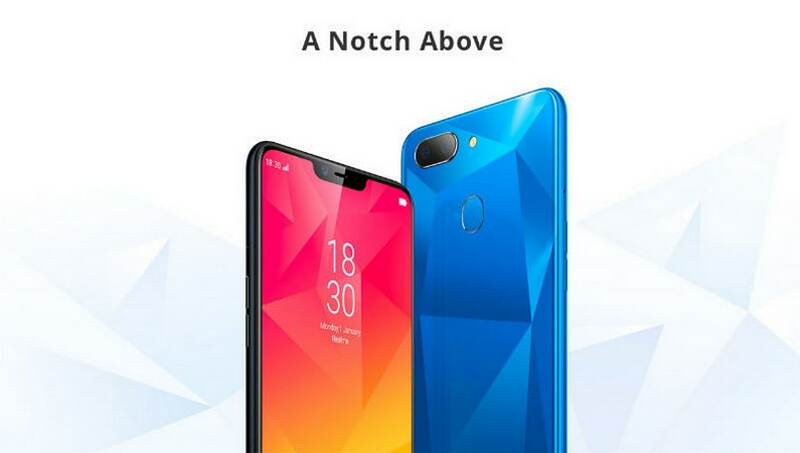 According to the reports, Realme will be available at a price of only Rs. 8, 240 on Flipkart. The scheme comes as a part of the HDFC Bank Credit or Debit card offered by Flipkart. The customers can easily get to buy the smartphone at a discount of Rs. 750 flat during the flash sale if the payment is made via the HDFC Bank Credit/Debit cards. The discount will bring the price of the Realme 2 to Rs. 8,240 with the base variant 3GB+32GB and the 4GB variant will cost you around Rs. 10,240 instead of Rs. 10,990 if you buy through the HDFC deal. The buyers can also get this flat discount on the NO cost EMI options as well, but this time, the offer can be accessible in the form of cash back that will get credited later on in their account. One needs to understand that the offer is not valid in the HDFC Internet Banking option. Other than the Rs. 750 flat discount, the buyers also get a chance to avail the Jio offers in the form of Jio Cash Back offer of Rs. 2200 and along with that, the buyers also get a chance to get partner vouchers of Rs. 2000 that can be utilized while flight bookings through Paytm or buying products on Lenskart. Flipkart also offers an additional discount of Rs. 500 if you exchange your old smartphone to buy a new one. The Realme 2 is all set to be launched with super amazing features and specifications. It will have a 6.2 HD+ notch display. The smartphone will also sport a 14nm Qualcomm Snapdragon 450 SoC with an octa-core CPU. You get two variants of storage when you buy Realme 2, and they are the 3GB RAM with 32 GB storage and 4GB RAM with 64GB storage. The phone will sport a dual camera at the back with a 13MP primary camera and a 2MP secondary depth-sensing camera. The front camera will sport an 8MP camera for excellent selfies and video calling. The battery is amazing at this price, and you get a 4320MAH battery that is bigger than the Realme 1. The best thing about the smartphone is that it will be launching the 4G volte in dual sim slots.